Medical expenses can save you from an IRA early withdrawal penalty. 3. What are the Hardship Distributions in an IRA Account? You generally can't withdraw money from an individual retirement account until you reach age 59 1/2 without paying a tax penalty. But certain exceptions do apply, including if you need to pay medical expenses in excess of 7.5 percent of your adjusted gross income. In that case, and various others, you can file for appropriate IRA penalty exceptions. 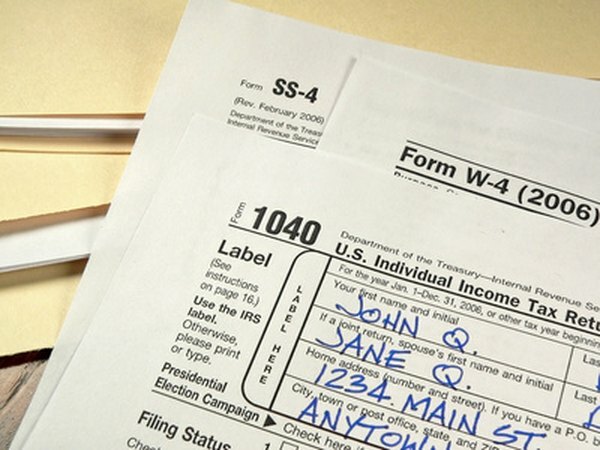 File IRS Form 5329 with your tax return if you have early IRA withdrawals. Read the Form 5329 instructions to know which code to enter to indicate the type of IRA early withdrawal exceptions you can claim. Normally with a traditional IRA, you deposit money while you are working and claim a tax deduction, then withdraw the money in retirement and pay taxes on it then. You can effectively save money on taxes this way, especially if you are in a lower income bracket when you retire than while you are working. Roth IRAs work differently, as you pay income tax normally on money you put into the account but do not pay taxes on withdrawals you take at retirement age, including any investment earnings you may have. But if you withdraw money from a traditional IRA before you reach age 59 1/2, you generally not only must pay the deferred tax but also an additional 10 percent tax penalty. This is to discourage you from spending your IRA savings before retirement. In some cases, though, you can withdraw money without paying the penalty. You can do so if you are buying your first home and are withdrawing up to $10,000, or to pay for certain higher education expenses for yourself and your family. You can do so if you're unemployed in order to buy health insurance. You can do so if you're called up to active duty from the military reserves or National Guard and you may do so to pay health expenses beyond 7.5 percent of your adjusted gross income. Transferring money from one IRA to another can also be done tax-free if you follow IRS rules. When you take an early withdrawal for any reason, you must file Form 5329 with your tax return. There is a box to indicate a numeric code saying the reason a withdrawal shouldn't be subject to the penalty tax. For example, code "05" is for medical expenses and code "09" is for the purchase of a first home. Read the instructions to find the Form 5329 penalty exception codes, look up the appropriate code for your withdrawal and enter it on the form. Then, follow the instructions on the form to enter any tax you owe on your Form 1040. If you have a Roth IRA, the rules for early withdrawals are different than traditional IRAs. Generally speaking, you can withdraw money you've deposited in the account early with no tax but you will owe a penalty. If you withdraw investment earnings early from your Roth IRA, you will owe a penalty and income tax on the earnings. It's generally better to let the money grow tax-free until you retire, but this is an option if you have a Roth IRA and expenses you need to pay. The rules around early withdrawals are not changing for 2018, but tax brackets are changing, so the income tax you owe on any IRA distribution will likely be less. Additionally, Form 1040 is being revised to a simpler form, which means Form 5329 will likely change somewhat as well to indicate where on the revised form to note your tax on early distributions. Use the 2017 versions of the forms to file your 2017 taxes. Tax brackets are generally higher in 2017 than 2018, meaning you'll likely owe more income tax on IRA distributions, in addition to any penalties that apply. Are IRA Distributions for Education Taxed?